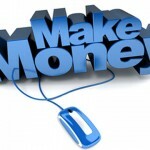 Affiliate marketing is something we’re all familiar with, even though we might not realize it. A few years back, the internet was simply full of content. 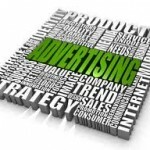 Then some advertising executive had a brainwave: “TV is full of ads, radio is full of ads – why not the internet too?”. The result – every time you now visit a web-site, you’ll no doubt see a distracting advert offering you 10% off the latest Dan Brown book, discounted flights to Chicago, or a $10 voucher if you spend $100 or more at Macy’s. This is the world of affiliate marketing. In its simplest terms, affiliate marketing is where a website allows a bigger – usually retail – web-site to place an advertisement on their landing page. The ad is a “click-thru’ link – if a visitor to the hosting site clicks on it, they will be taken to the retail site and offered the chance to receive the promised offer or make the offered purchase. Each time a visitor makes that all-important click, the owner of the original hosting web-site receives a commission. It’s hardly surprising that Google tops our list, given the silicon behemoth’s all-encompassing presence on the web. 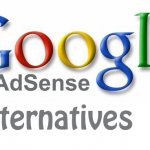 Their AdSense campaign has been running for many years, and they promise a flexible and hassle-free way for your site or blog to make money, by supplying you with pertinent and engaging ads. Over two million people use Adsense from Google, and Google pay out between one and five cents a click, depending upon the ads that are supplied to your site. There’s also no surprise that the company recognised as the biggest online retailers have their own dedicated affiliate marketing program. Amazon can claim to have tens of thousands of satisfied customers amongst their marketeers. Most see Amazon as a trusted brand, and can claim a reasonably high level of commission and, as Amazon has a significant range of products, a marketeer is not restricted to the types of advertisements that match the subject of their site or blog. Despite the popularity of Google and Amazon, Commission Junction still styles itself as the largest affiliate program company around. Their marketing is CPA-based – CPA stands for ‘cost per action’ and means that each time a visitor clicks on a hosted ad, you only get paid if they actually do something, such as make a purchase or sign up for a newsletter. On the negative side this means your site may be hosting ads that often get clicked but for which you receive nothing, but on the positive side this enables CJ to offer a larger percentage of commission than other affiliate programs. Share a sale are an American company based in Chicago, Illinois, that entered the word of affiliate market in 2000. They provide a service that matches merchants to affiliates. The affiliates are the people with their own sites or blogs and who earn commission for referrals to the merchant whose ads they host. An affiliate can select from over 2,600 merchant programs. Linkshare have been around since 1996, growing into a reputable company with thousands of affiliates from all corners of the globe. They promise to bring merchant companies increased traffic via their affiliates, who they pay on a results-based basis. They also offer to help both merchant and affiliates increase their traffic and revenue by giving advice on search engine marketing, lead generation and web-site optimization. This is the affiliate program of the world’s leading auction site. Ebay’s affiliate program was previously run via Commission Junction, but they split from their umbrella affiliate partner in 2008 to launch their own affiliate program. Ebay pays a hosting web-site each time a visitor to the site “clicks-thru” and makes a bid or purchase on Ebay, or registers as an Ebay user. 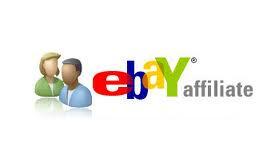 The program offers affiliates multiple ways by which they can make money via Ebay. Another company that match affiliates to merchants, Avant Link takes an extremely professional view of affiliate-merchant linking. They only take on affiliates if such an affiliate can prove they have a succinct knowledge of the techniques used to drive visitors to their site, and only select merchants with premier, functioning web-stores with decent conversion rates. This company deals with higher-end of internet marketing rather than seldom-visited blogs. PepperJam, like Avant Link, take a very serious approach to affiliate networking and are not interested in sites who simply wish to make a few extra bucks on the side each year. Whilst their site is soaked in confusing techobabble (“cutting-edge affiliate techology”, “premier omni-channel consumer engagement”) the company’s aims are clear. They aim to make money, they aim to make their affiliates money and they aim to generate their merchants sales, and they work out the best ways of doing exactly that. PopShops is named after that annoying trend of adverts and uninvited web-sites that “pop-up” whenever you’re reading a page or looking for the latest sports results. They promise a network of thousands of options and merchants for budding affiliates, and provide everything you need to get started, even generating the feeds on your web-site for you. They do charge for their services, though, from $20 to $60 a month. Promising to be “much more than an affiliate program”, oneNetworkDirect are another company concentrating on the high-end of affiliate marketing, and whose tools are specifically designed for affiliates who generate more than $200k in sales per annum. They boast a product list of over 400,000 titles, and promise to do everything to drive traffic to their associated merchant sites. good and useful topic who became an affiliate marketer.